Veranda Resorts has built its reputation on the art of receiving and entertaining guests. 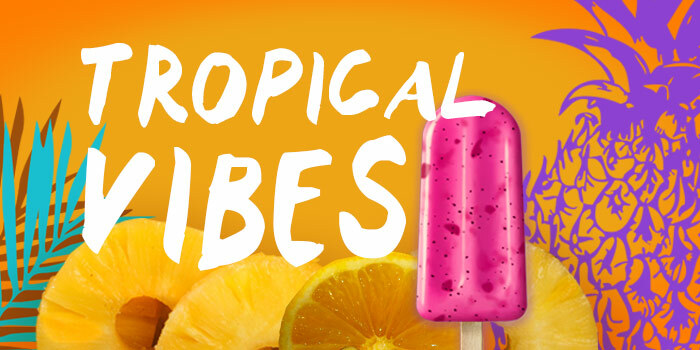 It is no surprise that all Veranda Resorts’ hotels have planned to surprise their guests with exotic end-of-year celebrations and have agreed on one theme: Tropical Vibes! There is no better place to party than on a tropical island, especially if you want to end the year on a high note! A blend of pure white and flashy colours, tables adorned with fruits and plants, colourful bar counters, mini fruit market, a 100% natural décor with hints of vibrant colours and exotic Christmas trees… EOY celebrations at Veranda Resorts will definitely be bright, sunny and fruity! Nothing is too much to delight visitors and lead them into a unique and fantastic atmosphere. For the end of this year, Veranda Pointe aux Biches will welcome its guests in a freshly renovated décor. With both exo-chic and jazzy ambiences, it will be hard to resist! Whether they choose to be there on Christmas Eve or New Year’s Eve, guests will surely have a memorable time as they relax and enjoy the convivial atmosphere. On the 24th of December, the evening will start with a “merry” Happy Hour and famous Christmas Carols in the background. 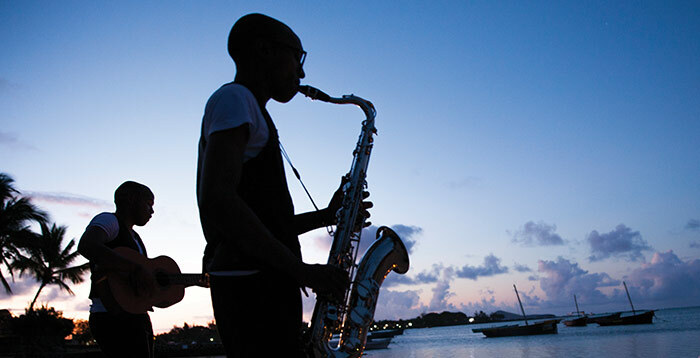 Then, guests will be invited to sit at a contemporary Mauritian table and enjoy an exceptional gala dinner to the sound of a jazz band. The next day, the magic of Christmas goes on with an amazing drink and cocktail tasting (the Coconut Jalsa is a must!) and a tropical buffet. New Year’s Eve will be as delightful, with some beach animations, Happy Hour and gala dinner. Guests should get ready to dance the night away! On New Year’s Day, Veranda Pointe aux Biches offers them to start the year in a very special way: magical sundowner and international buffet for an unforgettable experience! For the end of the year, the most family-friendly hotel of Veranda Resorts is preparing a special offer that will please the big and the small. Guests will be instantly captivated by the Christmas show featuring Nativity scenes, Christmas Carols and a performance by the Kids’ Club, followed by the distribution of gifts. Santa himself will be there! The night will go on with a delicious buffet dinner and live music. On Christmas Day, Veranda Palmar Beach will welcome guests at a mouth-watering barbecue around the pool. In the evening, a special buffet dinner will be served at the Regatta restaurant. Then, guests will have the opportunity to show their best moves on a 100% latino dance-floor. It is otherwise possible to book a table at the Horizon restaurant and indulge in a seafood dinner. Veranda Palmar Beach will also host a special programme on New Year’s Day: sundowner and cocktail on the beach to say goodbye to 2015, followed by a flavourful dinner buffet. The highlight of the night? Dancing to the DJ’s music and watching fireworks! 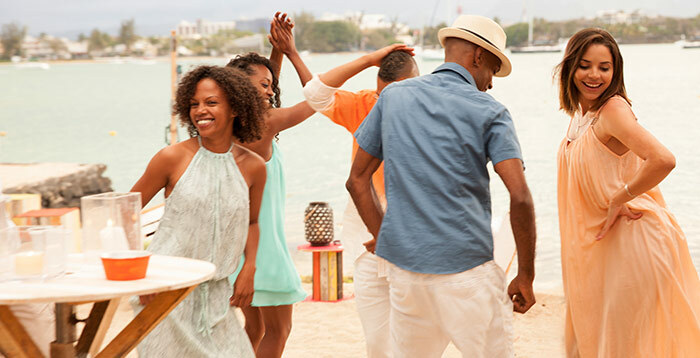 Veranda Grand Baie: dance till dawn! With its eternal sunshine and magnificent turquoise lagoon, Grand Baie is an ideal spot for the end-of-year celebrations. The place-to-be in this major seaside hub, if you want to live an unforgettable Christmas in the most magical way, is Veranda Grand Baie, of course! Looking forward to party till the break of day to welcome the new year? At Veranda Grand Baie, the evening programme of the 31st will start with a lavish seafood and Mauritian buffet, also featuring the traditional turkey and a tantalizing selection of desserts. Afterwards, guests will have so much fun celebrating 2016 on the dance-floor that they would hardly want to leave! A real love nest for couples, Veranda Paul et Virginie welcomes guests who are looking to celebrate the end of the year in an intimate setting. Hand in hand, couples will enjoy delicious cocktails at the bar, followed by a dinner buffet and music to dance the night away. They will be offered to celebrate New Year’s Day the Mauritian way with an exotic menu featuring local specialities such as the heart of palm salad. After dinner, the DJ will lead them into a festive night brightened up with splendid fireworks. 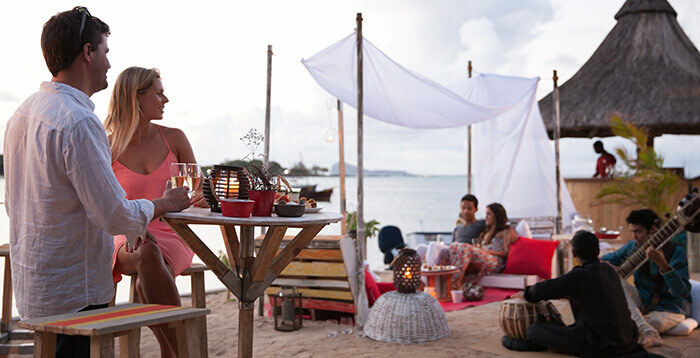 Clearly, Veranda Resorts’ four hotels spare no effort to make sure their visitors end up the year in a festive and typically Mauritian atmosphere. Hurray for 2016! Really, Heritage Golf Club is second to none when it comes to wowing its clientele. The latest surprise has been the launch of footgolf, which is a combination of the two most popular sports in the world: football and golf! 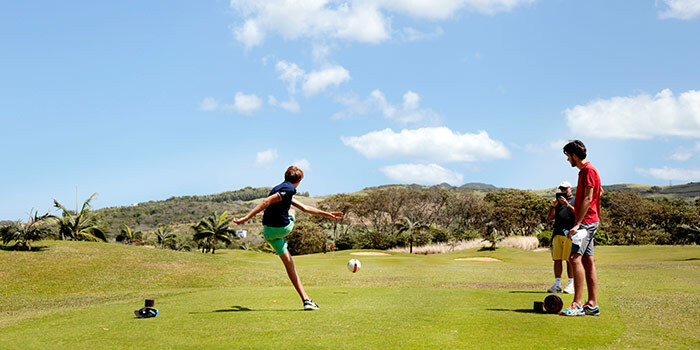 Footgolf has been expanding worldwide since 2009 and is now available in Mauritius thanks to Heritage Golf Club’s decision to make it popular among Heritage Resorts’ hotel and villa residents. While many have not heard much about footgolf yet, several federations have been created over the world, as in South-Africa, England, Argentina, the United States and France, and there have been Footgolf World Championships since 2012. Therefore, Heritage Golf Club is proud to introduce this exciting discipline in Mauritius and to launch its Short Course, allowing both football and golf players to enjoy this new sport. The game is actually played solo or in teams with a size-5 football, on a 9-hole golf course; the holes are 55 cm in diameter and 40 cm deep. Rules are similar to that of golf. In as few shots as possible, the player must reach the target and kick the ball into the hole. As in golf games, dress code is sporty but smart. The traditional beret, Bermuda shorts and knee-high socks still apply! This is the ideal sport for those who love football as much as the little white ball! Moreover, it is a smart option for team building, birthday parties with friends and family outings. A footgolf game surely bring its share of unforgettable moments! What’s more at Heritage Golf Club is the opening of the Heritage Junior Golf Academy for 6 to 12 year-old kids. In this, Heritage Golf Club has partnered with SNAG (Starting New At Golf), an organisation promoting the most exciting, interative and fun way for children to learn the game. Supported by Jack Nicklaus, a world-renowned professional golfer who works towards making golf accessible to children around the world, this initiative is most welcome in Mauritius! 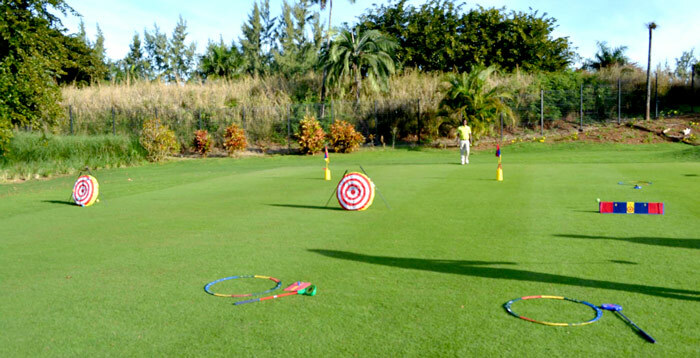 Heritage Golf Club offers free courses for children staying at Heritage Resorts, every Wednesday as from 11.30 am. Cheers for golf!